"Promotional Copy Not For Sale" printed on labels. Same track both sides in edited version and album version. 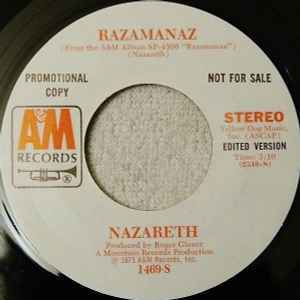 From the A&M album SP-4396 "Razamanaz"